I am sure you know about the Avene skin care giveawy for this March Top Commentator. My son going to school and everyday his under sun, so he has got dark forehead. 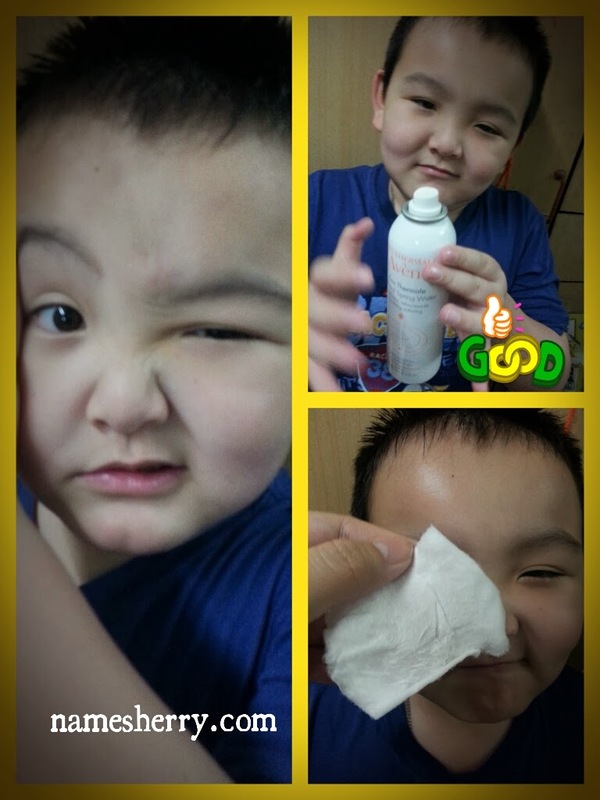 He used the Eau Thermale Avene Spring Water to spray his face, then I use a clean cotton to wipe his face especially his forehead. I check out the image above you can see the stained on the cotton. Now do you see the dirty cotton above image? It is safe for children to use. I also keep one bottle in my bag for travel use. You never know when you need to a refreshing spray. interesting with ur kid using spring water! Wow children also using Avene products now! @Princess Neverland, he's only using the Eau Thermale Avene Spring Water. for his face mainly. it's suitable for sensitive skin too. Can it be used for acne skin also?